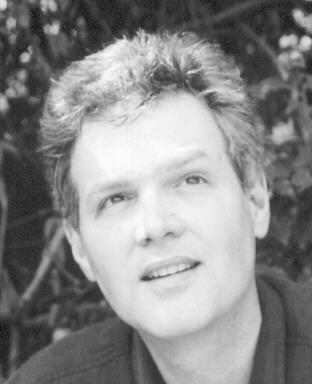 Greg Caton, owner and operator of Alpha Omega Labs (www.AltCancer.com), an herbal products company that sells anti-cancer herbal remedies made with Ecuadorian medicinal herbs, was arrested at gunpoint at a road checkpoint in Ecuador, then transported to an Ecuadorian holding facility to await a hearing on December 14, 2009. Caton was expected to be set free by the Ecuadorian judge at that hearing based on the facts of the case which indicated Caton’s permanent residency in Ecuador is legal and valid. Three days before the hearing could take place, Caton was taken from his holding facility and, with the help of U.S. State Department employees, involuntarily placed on an American Airlines plane headed for Miami. An Ecuadorian judge rushed to the airport in Guayaquil and demanded that Caton be released from the plane, stating that the attempted deportation was illegal, but American Airlines employees reportedly refused to allow Caton to leave the plane, stating that the plane was “U.S. territory” and that Ecuadorian law did not apply there (even though the plane was still on the tarmac in Guayaquil and under the direction of the air traffic control tower there). The U.S. Food and Drug Administration has, for many years, pursued Caton, accusing him of selling “unapproved drugs” — herbal medicines that have never been, and will never be, approved by the FDA to treat anything. He was convicted of these crimes in 2003 and served 33 months in federal prison. After serving his term, Caton was on probation for another three years. As Greg Caton’s wife explained to me in an exclusive interview, eighteen months into that probation, Caton received word that a “rogue FDA agent” named John Armand was intimidating his ex-employees in an attempt to convince them to testify against Caton in order to have him convicted of further charges that would lead to more prison time. As you’ll see below, this fear was not unfounded. In Ecuador, by the way, selling herbs and accurately describing their medicinal properties is not a crime. It’s common sense. Every pharmacy, health food store, shaman and medicine man openly talks about the anti-cancer properties of various herbs. No one goes to prison for selling medicinal herbs in Ecuador — the very idea seems silly. Why would any nation want to lock up its healers? So the “crimes” for which Caton was convicted in the USA aren’t even considered crimes in more medicinally enlightened countries such as Ecuador. There, people like Caton are considered valuable members of society. Back in the U.S., the only real crime Caton was now guilty of was failing to serve his last 18 months of probation. But even that probation sentence was based on the false crime of Caton selling medicinal herbs while accurately describing their health-related properties. In other words, if not for the FDA’s persecution of all herbalists who sell anti-cancer herbs, Caton would never have had jail time nor probation to begin with. Interpol is normally reserved for listing serious criminals: Murderers, rapists, terrorists, international money launderers, war criminals and the like. NaturalNews contacted Interpol to inquire as to how Gregory Caton, an herbal formulator violating nothing more than probation, could have been listed with Interpol as a wanted international fugitive with a so-called “Red Notice” — Interpol’s highest alert level. This is the kind of alert level someone like Osama Bin Laden might normally merit with Interpol. In other words, the Interpol “Red Notice” designation — which was applied to Greg Caton’s listing — is never applied to people who merely skip probation. The Greg Caton listing with Interpol, NaturalNews learned, was off protocol. Someone, it seemed, had managed to exploit the DOJ / Interpol system to get Caton listed as an international fugitive when he was merely guilty of skipping out on the last 18 months of his probation. This implies that Caton was engaged in some sort of serious drug operation: Drug smuggling, perhaps, or drug dealing. In reality, his only crime was selling medicinal herbs that the FDA mislabels “drugs” in its own bizarre regulatory language — the same language that calls cherries “drugs” if they are sold alongside any words describing their benefits for relieving arthritis pain and inflammation. To the FDA, even a bottle of water can be considered a “drug” if it’s sold with the claim that it prevents dehydration, a medical condition. The FDA, he explained, never comments on any “ongoing investigation.” In all, I placed five phone calls to various offices of the FDA, each time asking to speak with John Armand to get his side of this story. In every case, I was stonewalled and either told to talk to someone else or given the “no comment” reply. His arrest in Ecuador was made possible by the “Red Notice” listing with Interpol. That listing was submitted through the United States National Central Bureau (USNCB), under the DOJ (Department of Justice), and it was submitted to the USNCB by the FDA. Within the FDA, the source for the listing was the Lafayette office, where agent John Armand operated. The “Red Notice” listing, however, was off-protocol because Greg Caton was only guilty of skipping out on probation, not engaging in the kind of “heinous crimes” normally required to achieve a Red Notice listing with Interpol, which is normally reserved for terrorists, mass murderers and war criminals. 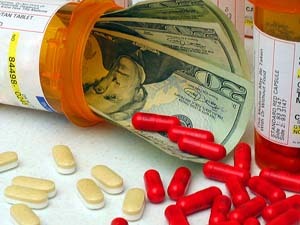 This entire charade was masterminded by the U.S. Food and Drug Administration, which managed to trick Interpol into flagging Caton with a “Red Notice” status even though his only outstanding crime was skipping out on probation to go seek a life of peace in a nation that welcomed his medicines instead of criminalizing them. 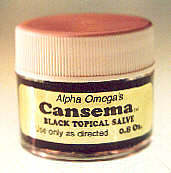 Greg Caton’s top-selling anti-cancer formulation is called Cansema, and it is sold by Alpha Omega Labs as an effective herbal treatment for topical cancers. If you have skin cancer of any kind, I encourage you to learn about Cansema and how it has eliminated cancers in many people. Even though Greg is now imprisoned in the U.S., Alpha Omega Labs is still open for business, and you can purchase Cansema online right now at www.AltCancer.com (note: NaturalNews has no financial relationship whatsoever with Alpha Omega Labs or Greg Caton). If it works, then why all the criminal accusations against Greg Caton in the first place? Why the absurd labeling of his herbal products as “unapproved drugs” when even Caton himself doesn’t call them drugs? 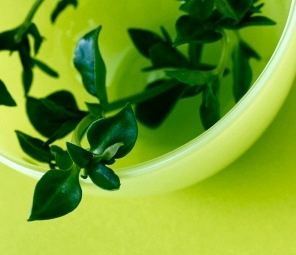 He simply (and accurately) describes them as medicinal herbs, which is what they are. I find it fascinating that if I place a bottle of Cansema in my pocket when I board a plane in Ecuador, it’s just “herbs,” but when I exit the plane in Miami, suddenly those herbs have been transformed into “unapproved drugs” by the regulatory language police who operate in the U.S. much like the Ministry of Truth from George Orwell’s novel 1984. Regardless of what the product is called, the FDA isn’t at all interested in whether Cansema actually works. The mere fact that the herbs were sold as a natural cancer treatment without FDA approval is enough to have Caton condemned as an international criminal. But in taking this stance, the FDA misses out on the thousands of satisfied customers who have successfully used Cansema to cure their own cancers. Greg Caton is a friend of mine and an extraordinary healer. I was shocked to hear about his kidnapping and illegal deportation to the U.S., regardless of perceptions of his legal status within the U.S., something I understand to be a mild violation at most. He is a legal resident of Ecuador and conducts a legal alternative health product company here. I thoroughly support his work in healing untold thousands of people of cancer and other serious diseases. On the larger issue of the suppression of alternative possibilities in the health, environmental and technology fields, we see a pattern emerging that the true geniuses of innovation are all too often violently suppressed by authorities who illegally, unethically and immorally punish these true pioneers of our time — solely because of powerful vested interests that are far less effective in solving the problems presented. This is an outrage, and I ask that, if justice has any meaning left, Greg be released immediately from his current detention and flown back to his residence in Ecuador. This plea represents one of many coming from those of us who strongly feel that justice can only be served by supporting rather than condemning those of us willing and able to move humanity into a new paradigm of healing and sustainability. Mexico, the Bahamas, Central and South America are all full of expat scientists, alternative medicine doctors, herbalists and naturopaths who have been forced to flee the USA or face imprisonment for their “crimes” of treating cancer with things other than FDA-sanctioned chemotherapy, radiation or surgery. This is why Americans have virtually no access to cancer clinics that offer real hope for healing. Instead, the American population is relegated to suffering the toxic side effects of chemotherapy and radiation under the “guidance” of nutritionally-ignorant oncologists who are poor doctors, but excellent followers of the FDA regime. What Greg Caton’s illegal arrest and deportation really represent is the ongoing war of tyranny against healers that’s still pursued by the FDA and its “secret police” Office of Criminal Investigations (OCI). The answer is no one. There is no Congressional oversight, no judicial oversight and no civil rights protections for individuals targeted by the FDA’s OCI. The U.S. Constitution and its Bill of Rights — which are supposed to guarantee freedom of speech for herbalists as well as everyone else — are thrown out the window by the OCI. Once you are targeted by the OCI, you have no rights to free speech. You are considered an enemy of the state and can find yourself listed on Interpol alongside terrorists and war criminals even though your only crime might be selling herbal creams to natural health consumers. The FDA claims its OCI office helps protect the American people from unscrupulous quacks and charlatans. Certainly, there is a role for that function in any society, as many companies will inevitably try to cheat the public by selling health-related products that don’t work (Tamiflu comes to mind, incidentally). But do we really need to be protected from an herbal product that works? How is Greg Caton’s selling of herbal medicine harming anyone at all? His product really works, and if the FDA was interested in what works, you would think they might be interested in embracing herbalists instead of criminalizing them. But he was a huge liability to the U.S. cancer industry which continues to base its business model on the intimidation and criminalization of anyone who offers cancer solutions outside the realm of pharmaceuticals, radiation and surgery. The cancer industry’s enforcement arm is the Food and Drug Administration, a dubious agency that follows no law (literally, there are no laws limiting the actions of the FDA) and operates with virtually no oversight whatsoever. Essentially, the FDA operates like the mob, respecting no law while using tactics of intimidation to assert its power and authority over others. In fact, if you begin to dig into this story, you’ll find that Interpol is frequently used by scammers to red-flag innocent victims, so it’s not much of a surprise to learn that the FDA rigged Interpol to list Greg Caton as a criminal mastermind in order to have him arrested, kidnapped and illegally deported to the United States. Certainly, Interpol has some useful function in the world, as the sharing of police intelligence about truly dangerous, violent criminals seems a worthy goal. But when the system is used to destroy the lives of innocent victims who are guilty of no such heinous crimes, it becomes a tool of the destruction of human rights. Rather than protecting the innocent, in this case Interpol was used by the FDA to persecute the innocent. And that speaks strongly about the lack of credibility at Interpol. Its “Red Notice” listings apparently carry no more credibility than a plastic police badge found in a box of Cracker Jack. This is not merely a violation of Greg Caton’s civil rights, it is a violation of international law. You have the power to help rights these wrong and bring the FDA’s actions in this matter to light. Protest this action with your elected representatives. In your own words, tell them why you think this kidnapping of Greg Caton is a great injustice that needs to be corrected. Ask them to investigate the FDA’s Office of Criminal Investigations and determine how it is that FDA agents are able to exploit Interpol listings to achieve the illegal kidnapping and deportation of U.S. citizens living abroad. People will ask me, upon this publication of this story, why I’m willing to speak out against the FDA, the DOJ and Interpol. Actually, I have nothing against any of these organizations as long as they serve the People rather than the interests of domineering corporations. The FDA, DOJ and Interpol all have an important place in a just society — but only if they stick to their original charter and use their resources to serve the greater good. What this story on NaturalNews reveals is that each of these organizations has, in one way or another, been hijacked by corporate interests in order to suppress the actions of one individual whose products threaten the profits of the pharmaceutical industry. In essence, Interpol has now been used to enforce the profit aims of Big Pharma, and that’s not what Interpol is supposed to be used for. It’s supposed to be about protecting the innocent, not allowing itself to be subjugated by Big Business (because, of course, the pharmaceutical industry virtually runs the FDA these days). These are not the traits of a free society. They are not the actions of a justice system. They aren’t even what you would expect to find in a western nation that claims to operate under a free market enterprise system. And yet this is exactly what we are seeing in the United States of America today, where this nation of regulatory tyrants is now openly engaged in the international kidnapping of innocents who have, for understandable reasons, chosen to reside in countries that do not consider herbalists to be criminals. This entry was posted in Big Pharma, Healthcare, Human Rights Civil Liberties, Neoliberalism, NWO, Obama and Company, Prisons, Social Justice and tagged Alpha Omega Labs, American Airlines rendition, Big Pharma crimes, cancer remedy, cansema cancer cure, drug wars, Eduador, extraordinary rendition, FDA criminals, food freedom, Greg Caton herbalist, interpol, natural remedies, OCI, Office of Criminal Investigations. Bookmark the permalink. This is crazy!!!! PLEASE READ!!!! I GUARANTEE YOU WILL BE THE NEXT TO GIVE TESTIMONY ABOUT THIS GREAT HEALER WHEN YOU CONTACT HIM. of programming however I had been hoping to start my own blog soon. protein) gene, cause the disorder. Then, at a routine doctor’s appointment, I happened to casually mention the constant muscle and joint aches, exhaustion, and headaches. the vitamin if you are sporting sun block.